Opened in 1953, the store at Arrowhead was the first "Dan's" Supervalu and Bismarck's oldest surviving grocery store. 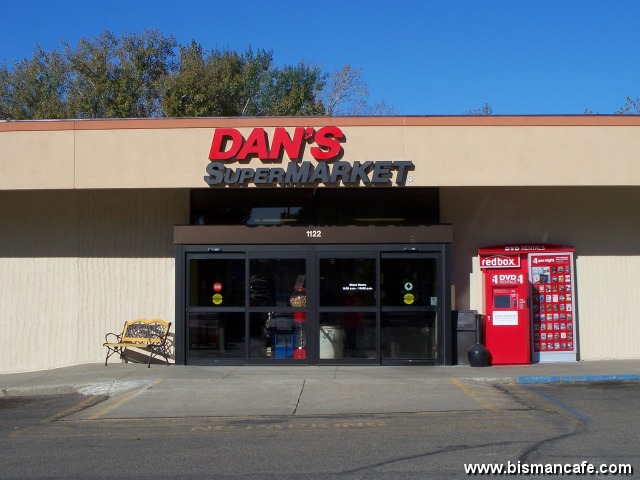 The iconic Dan’s Supermarket at Arrowhead Plaza will be closing by October 1st. According to several reports, the company’s parent, SpartanNash, opted not to renew its lease. The Arrowhead store was originally housed in the long-time space of Ben Franklin (which closed in 2007) before relocating in 1960 to its present location when the mall expanded. The Dan’s Supermarket at Arrowhead Plaza completed a $500,000 renovation in 1987 to its present-day appearance. SpartanNash acquired Dan’s in 2015, ending 66 years of local ownership. The company originated in 1949, when Roy Rockstad & Eugene “Bus” Leary converted the local Piggly Wiggly at 621 Broadway Avenue into Bismarck Supervalu. After the Arrowhead closure, there will be five Dan’s locations in Bismarck-Mandan.